Over the years, AIRAID Premium Filter Company has become the recognized leader in air management for both gasoline and diesel power plants. Extensive research and development has allowed AIRAID to come to market first with high-quality products that improve drivability and performance. Pit Stop USA is The Online High Performance Superstore! 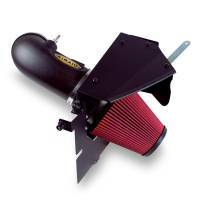 We feature Conical Air Filters at low everyday prices. 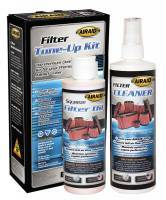 AIRAID Air Filter Renew Kit - 8 oz. Build it better. That's the American ingenuity behind many of today's successes in the automotive aftermarket industry and the story behind AIRAID Premium Filters. 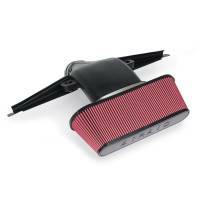 The company was founded in 1997 when it began developing and manufacturing air intake systems for light trucks and SUVs, utilizing the cotton-gauze filter technology that was available at the time. 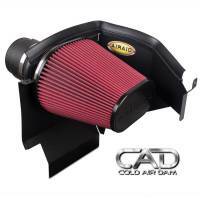 The original AIRAID Intake System combined an open-element filter with an intake tube to make an easy-to install air intake kit that dramatically increased air flow, improved performance and generated more horsepower and torque. AIRAID Premium Filters consist of multiple layers of cotton-gauze plus one layer of synthetic fiber material called SynthaFlow, sandwiched between either stainless steel or aluminum mesh, depending upon the application. 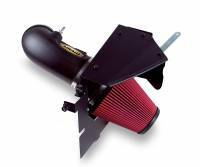 The casing of the filter is hand-poured urethane, which offers superior performance and durability, and won't shrink or crack from prolonged heat exposure under the hood. Superior filtration and flow, thanks to the SynthaFlow material, is what makes AIRAID Premium filters better than the rest. SynthaFlow enhances dirt filtration down to two microns and is moisture resistant. AIRAID Premium Filters are also washable and re-usable and are guaranteed for life. Over the years, AIRAID Premium Filter Company has become the recognized leader in air management for both gasoline and diesel power plants. Extensive research and development has allowed AIRAID to come to market first with high-quality products that improve drivability and performance. 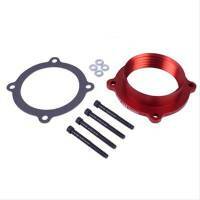 It has also allowed us to further expand our product line to offer a complete line of AIRAID Intake Systems and PowerAid Throttle Body Spacers.